The Bridgwater 4th of July Committee will be hosting a dinner show complete with a live belly dancing performance to raise the much needed funds required to host the 4th of July Celebration. Tickets can be purchased online by clicking here and for more information, please call 617.775.0868. A meat raffle will be held at the Knights of Columbus today from 1PM to 3PM. The Knights of Columbus is located at 582 Bedford Street. Book sale at the Bridgewater Public Library Today! There will be a book sale at the Bridgewater Public Library today from 11AM to 1PM. The sale will take place in the lower level of the library and is a name your own price sale. The Friends of the Bridgewater Public Library have announced that a Pizza Fest will be held on Saturday, June 13, 2009 at St. Thomas Aquinas Parish Center at 103 Center Street in Bridgewater. Pizza from local restaurants will be availabe to taste from 12 p.m. to 2 p.m. Tickets will be $7 for adults and $3 for children (ages 3 and under are free). The fundraiser is to support the Bridgewater Public Library. Tasters will be able to vote for their favorite cheese pizza and specialty pizza and the winners will be announced immediately following the event. The Friends are currently looking for vendors who are interested in participating and they will provide advertising, chairs, tables and paper goods. Vendors will need to supply the pizza and may bring decorations, signage, menus, coupons and/or warmers. Questions about the event may be directed to Rebecca McGrath at 508-697-5193 or rebeccamcgrath@morseins.com. Bridgewater Girls Softball is hosting a Family "FUN"-d raising event the evening of June 6th, 6:00 pm at the Bridgewater Knights of Columbus (582 Bedford Street). The event will feature a pasta dinner catered by the Italian Kitchen as well as a Silent Auction, Live Auction, Penny sale style raffles, 50/50 Raffle, DJ and the voice of the Patriots, Gil Santos as Guest Emcee. Tickets are $7.00 per plate which gains admission and dinner. Please consider joining the BGSL for a night of fun. All proceeds go directly to the building of the new Crescent Street Softball Fields! BCC, Assonet, East Freetown, Mass Maritime, Norton, Swansea, Wareham and the public schools in the SAILS network. If you have questions about this change, please call the library at 508-697-3331. The Trustees of the Bridgewater Public Library have announced that wireless Internet service is now available at the Library. The Library established wireless access for laptop users to enhance and expand access to the Internet. By choosing to use the library's free wireless service, you are accepting the Library's Internet Use Policy, which is available at the Library's Information Desk. The arrival of WiFi in the Library has been made possible through the generosity of the Friends of the Bridgewater Public Library, Charlie's Computers of Bridgewater and William Burden, Master Electrician. The Bridgewater 4th of July Committee will be hosting a giant yard sale to raise the much needed funds to support the Bridgewater 4th of July celebration. 10 AM. Stories, fingerplays and songs for children ages 2 and older will take place at the storytime. No registration is necessary and children must be accompanied by an adult. Removal of Pop-ups, Viruses, Spyware, Adware, etc. Owner and Chief Technician Mark Carlson has lived in Bridgewater for over to two decades and has successfully operated MARSON Computer in town for the past five years. Located on Elm St. he has built an addition attached to his home serving as his computer shop. His operation is not like a lot of typical part time computer guys that are out there it is a full time commitment and passion providing exceptional local opportunities like free pickup and delivery as well as offering basic computer training on using your operating system efficiently. MARSON Computer is the premier computer expert here in Bridgewater. For more information about MARSON Computer, please visit his informational website by clicking here. The Town of Bridgewater is looking for interested citizens to serve on the Town Government Study Committee. The Town Government Study Committee was established at the Fall Town Meeting in 2007 to look at the general overall makeup of town government and make various recommendations to the Town for any changes to the current form of town government or for an alternative form of town government. At the Annual Town meeting held on May 4, 2009 it was voted to continue the committee for another year and currently there are four vacancies on the committee. Anyone interested in serving on the Town Government Study Committee should submit a letter of application by May 20, 2009, explaining their qualifications and reasons for wishing to be a committee member to the Town Clerk, Town Hall, 64 Central Square, Bridgewater, MA 02324. St. Thomas Aquinas Church will host the first of the season's Candlelight Rosary Processions on Wednesday at 8 p.m. The guest speaker will be the Rev. Jason Makos, parochial vicar of St. Mary's Parish in Foxboro. The service is held in honor of Our Lady of Fatima and includes music with the procession. Noelle Armstrong of Bridgewater business Holistic and Realistic has provided this recipe for all Around the Common readers to try! 1 package (10 ounces) frozen organic chopped broccoli, thawed and drained. Heat oven to 400. Spray pie plate with olive oil spray. Bake 30 to 35 minutes or until knife inserted in center comes out clean. Sprinkle with remaining ½ cup cheese is melted. Let stand 5 minutes before serving. Enjoy! This is great for nights when you don't have much time, or when you are watching your budget. You can use leftover chicken and broccoli for a cheaper meal. Bridgewater resident Maura Annette Chappelle will is sponsoring an E-Cycle fundraiser this weekend to assist in defraying the costs of sending her on a mission to Honduras. The Olancho Aid Foundation will benefit by having Maura and others head to Honduras this summer and you can help make this trip possible by simply getting rid of some of your old junk! Saturday, May 16 9:30 a.m. to 1 p.m. 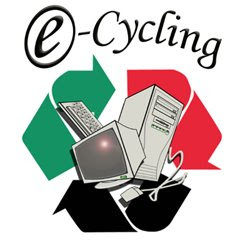 Instead of bringing your broken electronics and appliances to the transfer station and paying the fee there, give your stuff to us and the fee you pay will go directly toward our efforts. Prices will vary from $5 (microwaves and such) to $30 (items like water heaters). Smaller items like iPods and phones will be a free will donation. Monitors, Laptops, CPUs, Servers, CD Rom/DVD Drives, Speakers, Mice, Keyboards, Plugs, Wires and Parts/Accessories of Computers Copy/Fax/Scanner/Printers, Phones of any kind and Phone Systems UPS (computer battery back up systems), Camera/Video/Audio Equipment DVD Players, Stereos, VCRs, Walkmans, Ipods and accessories, Microwaves, Air Conditioners, Refrigerators (doors do not have to be removed), Freezers, Dehumidifiers, Hot Water Tanks and Heaters, Washing Machines Dryers, Stoves and Dishwashers. THEY DON'T HAVE TO WORK!! Central Square Boutique is one of the premier places in Bridgewater to complete your Mother’s Day shopping. With fabulous scarves, handbags, jewelry, Martini Candles and Mother of Pearl Handbags, you must head to Central Square Boutique to find the perfect gift for mothers, grandmothers, aunts, sisters or any other important woman in your life. Newly added lines include Pink House Imports and Simply Stated Crafts and gifts like mugs, cards, handmade headbands and custom bead orders are available! Tell Central Square Boutique you saw them on Around the Common and save $5 on a purchase of $25 or more or $10 on a purchase of $50 or more. Bridgewater Lions Club Fishing Raffle: $1,090 Value! The Bridgewater Lions Club is sponsoring a fishing raffle with all proceeds to benefit Lions Club Charities. Thanks to Ocean Runner Charters for their generous donation, the raffle prize is a 10-11 hour bluefin tuna fishing trip for up to 6 people. The charter must be used by October 15, 2009 and the value of this prize is $1,090. Tickets for the raffle are $5 each. If you are interested in purchasing a ticket, please email Kevin by clicking here. On Saturday, May 9 the Bridgewater Garden Club will hold the annual Spring Plant Sale inside the Senior Center from 9 A.M. to noon. Each year gardeners are interested in the perennials donated from the members' gardens. Proceeds go toward to scholarships give to high school or college students. For further information call 508-697-7617.